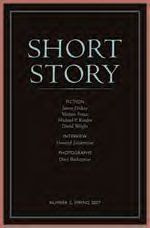 Considering that it’s still Short Story Month (and I’m falling behind my overly ambitious reading schedule), it seemed a happy coincidence to come across (thanks to my friend Logan) a new magazine called Short Story Review. Subscriptions are quite reasonable so I signed up and I look forward to seeing my first issue. Check out the website for some sample content.